The folly of the 21st century collides with the madness of Wonderland! This new musical adaptation remains fairly faithful to Lewis Carroll’s original tale. The twist? 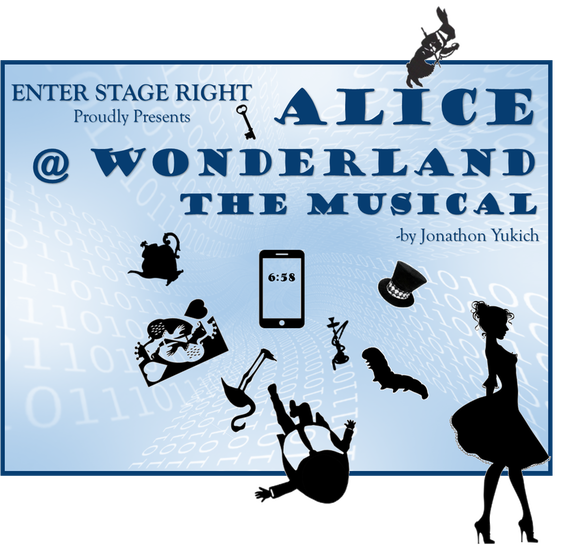 Alice is a texting, tweeting and Googling girl of the modern digital era, yet she finds herself in the Wonderland of old. With all of the characters you know and love including the Mad Hatter, the White Rabbit and the Queen of Hearts, this musical imagines a present-day Alice encountering the Wonderland so many of us treasure. Meanwhile, the younger generation will appreciate and relate to the many references to texting and social networking. The contemporary sounding new score by beloved composer Bill Francoeur and lyricist Scott DeTurk will delight all. A sharply told, crisply paced ride, this adaptation has been praised for its humor, artistic modern style and appeal to both children and adults.